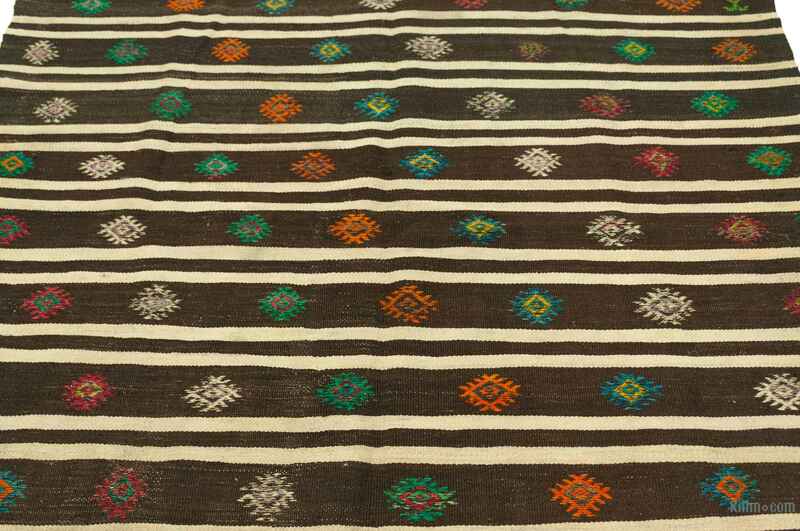 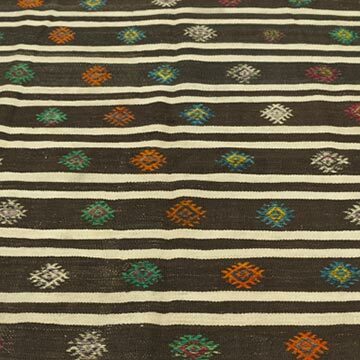 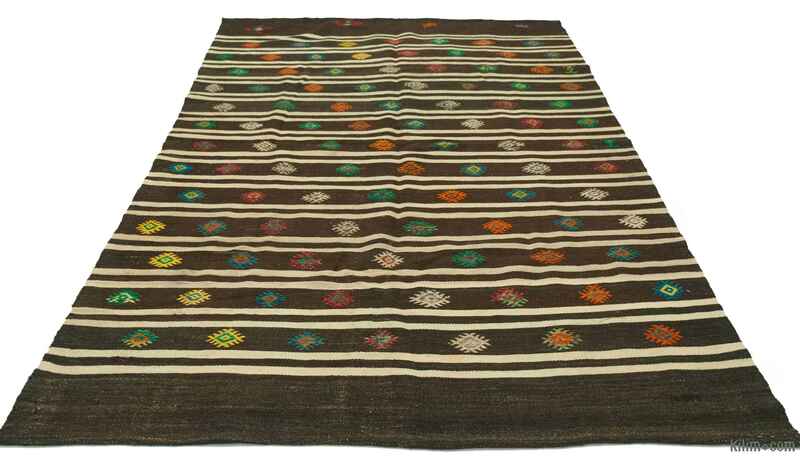 Vintage kilim rug hand-woven in Turkey in 1960's. 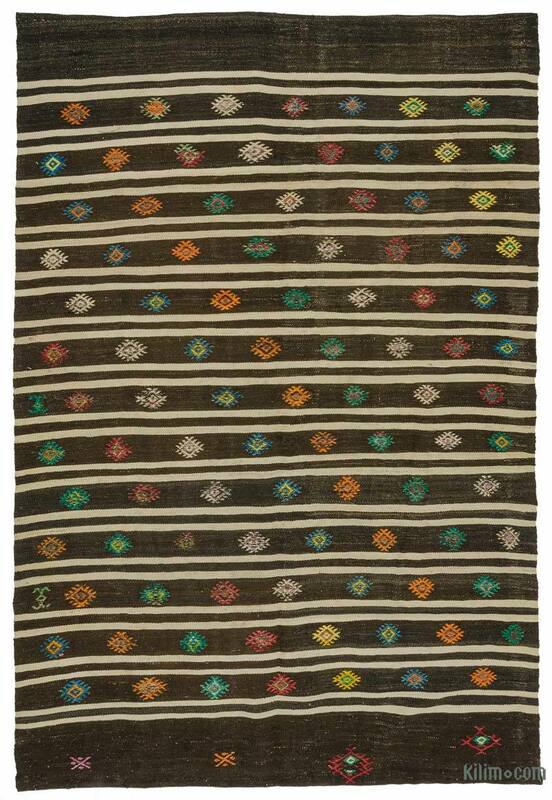 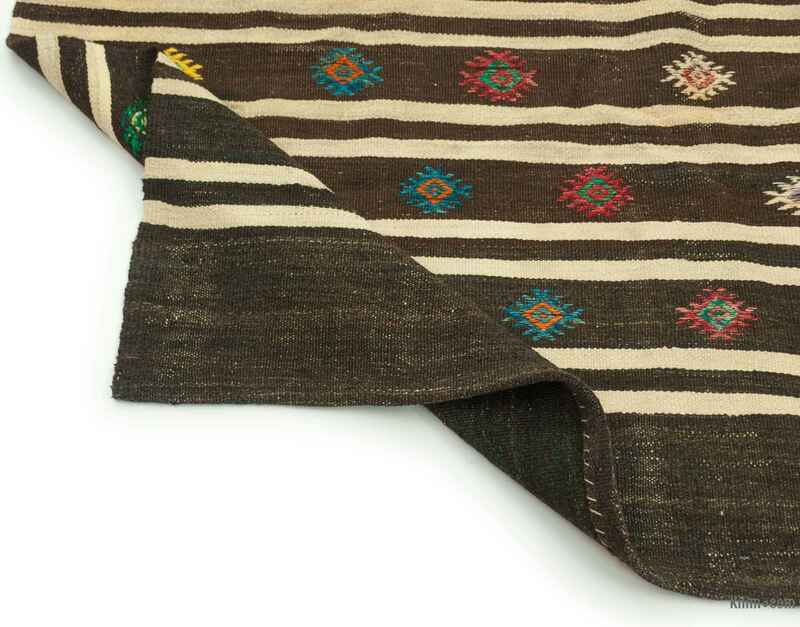 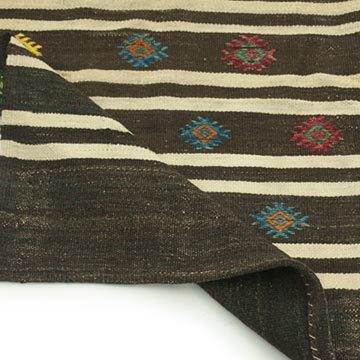 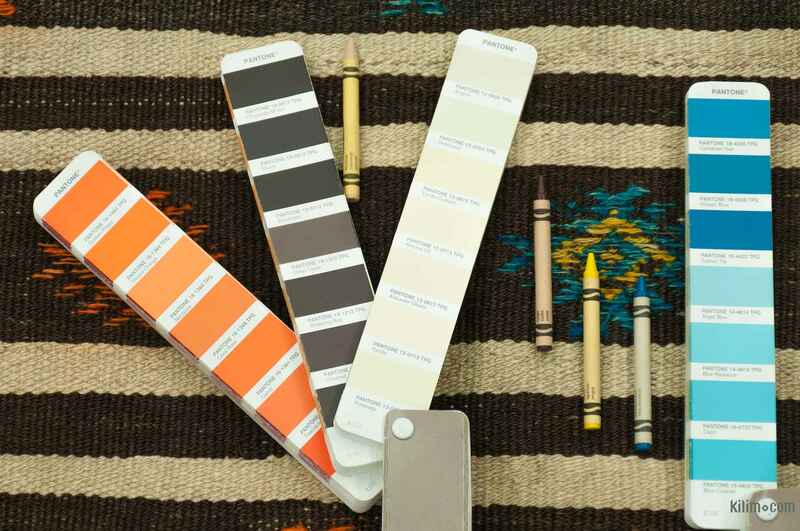 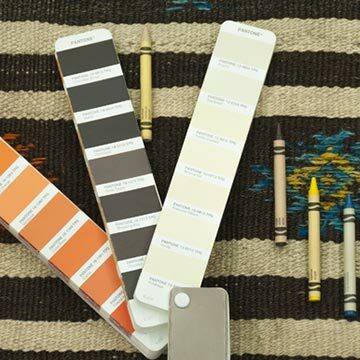 This tribal striped rug with jijim weavings is in very good condition. 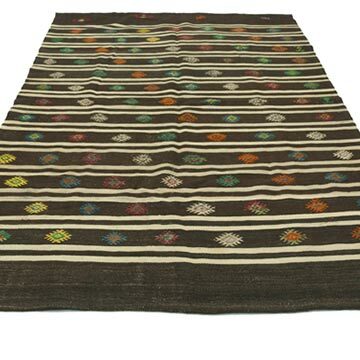 It is perfect for both bohemian and contemporary setting.